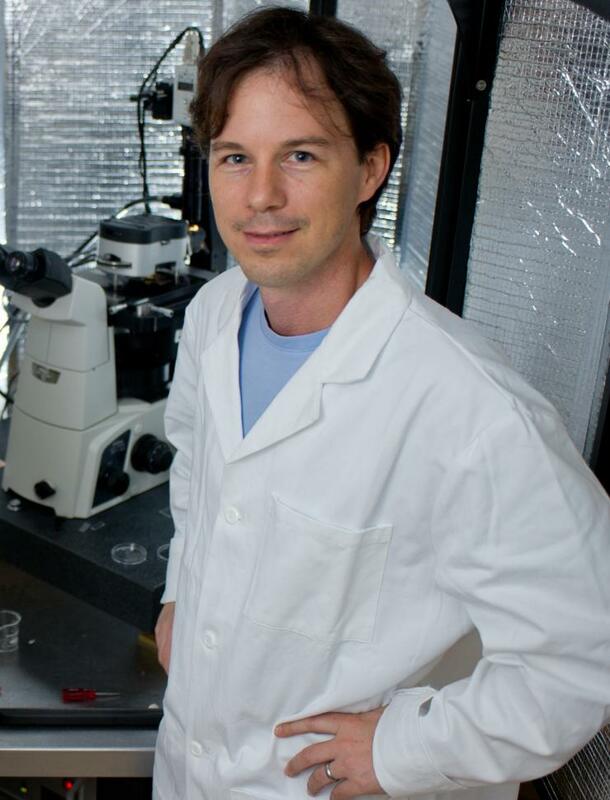 Todd Sulchek, researcher in the Petit Institute for Bioengineering and Bioscience at the Georgia Institute of Technology, is a principle investigator on the team that has won the inaugural award of the J. David Allen Seed Grant Program in Cellular Manufacturing. Sulchek, an associate professor of bioengineering in the Woodruff School of Mechanical Engineering, shares the $90,000 grant with his collaborators, Young-sup Yoon from Emory University and James Lauderdale from the University of Georgia (UGA). The title of their research is, “Microfluidic Technologies for Improved Engineering of iPSCs and Their Applications to Treating Corneal and Lymphatic Diseases.” The goal is to analyze and validate a mechanical method to deliver reprogramming factors to human somatic cells, creating induced pluripotent stem cells (iPSCs) that would potentially be used, down the road, in the treatment of lymphedema, cancer, and eye disorders. Earlier this year, Dr. Allen announced a $1 million gift that would be disbursed over a 10-year period, to the Georgia Research Alliance to advance cell-manufacturing related research and development at Emory, Georgia Tech, and UGA. The gift creates a unique partnership designed to accelerate collaboration, stimulate innovation, and help establish Georgia as a leader in cellular manufacturing. Seed grant teams must have researchers from each institution, and the award is divided equally between the three schools. The award supports collaborative projects with a high potential for clinical or industry translation at earlier stages of development.